State chairman Rob Anderson at the Utah GOP's headquarters in downtown Salt Lake. 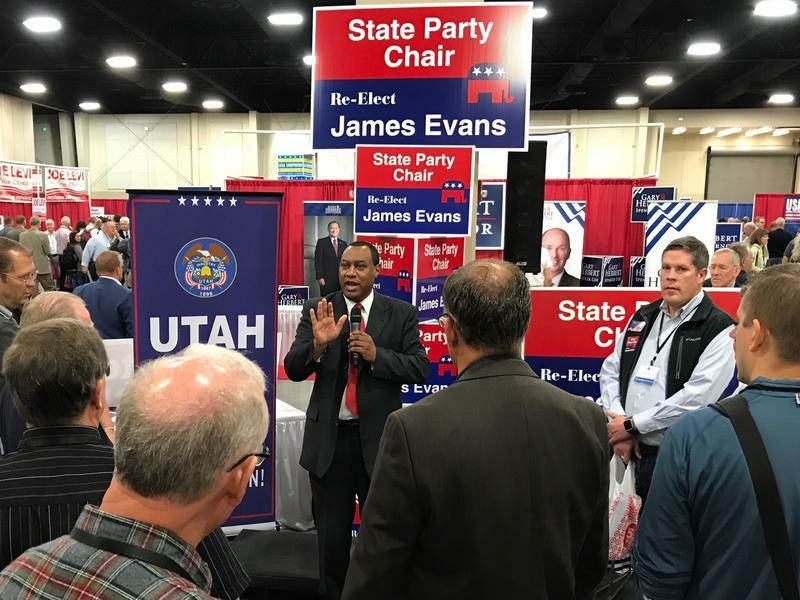 Utah Republicans elected Rob Anderson chairman of the state party last month, ousting two-term incumbent James Evans. Anderson, 51, is a commercial airline pilot and former chair of the Davis County GOP. He takes over at a time when the party is in serious debt and facing deep divisions within its membership. We sat down with Anderson at the Utah GOP office and started our conversation by asking him how he plans to reunite the party. Below are excerpts of this interview. Q: In your speech to delegates last month, you called the party a "house divided." What did you mean by that and how do you plan to fix it? Anderson: Well, I think I need to communicate and increase the base of participants in the party. And we do that through a lot of things, and I think one of those would be to increase participation in caucus night. It's important to get more people involved in that, because it's a low percentage, it's less than 20 percent...but if we can get more participation, the delegates will be more representative in the outcome and the convention will be more representative of the people. Once we heal that divide there, I think our statistics and things will show the people we elect are more representative and a better outcome. Q: You mentioned earlier Senate Bill 54, which has been a a major point of contention for the party. That set forth a path for candidates to get on the ballot via petition rather than the caucus convention system. You have said you'd like to see an end to the GOP's lawsuit over SB 54, how do you see that happening and where does that stand right now? Anderson: That is another indication that we are a house divided — because there's some support, and there's others who don't support the current election law. ...I haven't met with all the parties involved yet. I've talked to the legislature; I've talked to the governor. I need to talk to Count My Vote, we're trying to set up a time to meet. 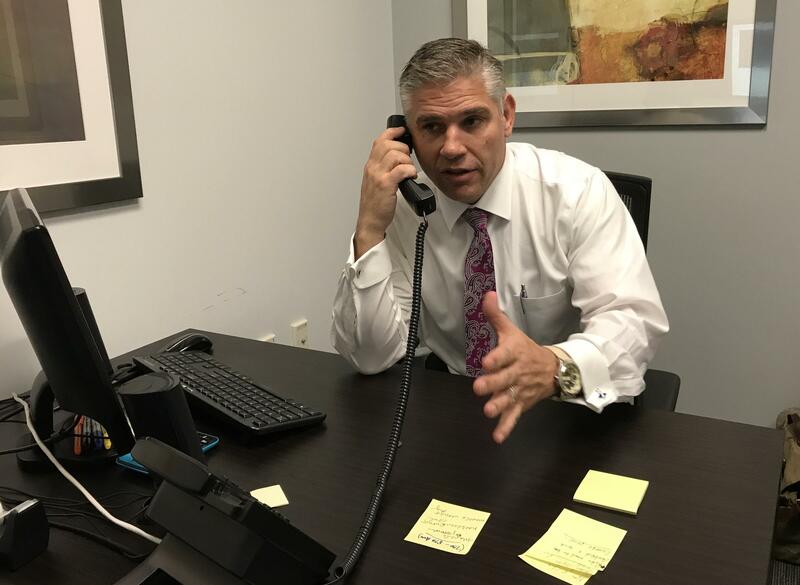 ...[But] I'll sit down to discuss some of the potential fixes or issues that we can work through and come together on this because that has caused us to be divided as well. And the Count My Vote [supporters] are a traditional donor base that has a lot of money sitting on the sidelines. They can bring a lot to the table — as well as money and participation. ...I think that's my desire is to come to an amicable conclusion in all of this without the legal challenge. I think the legal challenge is doomed at best, and hopefully we can get out of that sooner than later. Q: The party has incurred a lot of debt because of the ongoing lawsuit — reportedly more than $400,000. Now that you're in the chairman's seat, what does the financial picture look like? What is the fiscal health of the party? Anderson: Well, it's not good. You get involved and you find out that things come out of the woodwork... as far as debts or fines and things like that start to pop up everyday. We're going to get our arms around it, and soon I will be able to release exactly our financial situation. I can tell you there are at least $70,000 worth of surprises that I didn't know about day one of my tenure in this office. Those things that keep popping up are very disheartening, and so we're looking at different ways to try and fundraise...and hopefully we can draw back some of those traditional donors. Q: What challenge does President Trump pose to Republicans in the midterms coming up? Anderson: I think the more successful President Trump can be in his position, the more acceptance he'll get in the state. I kind of avoided the question when I ran for this position, but I'm a big Trump supporter. I think he's a businessman, I think he knows how to get things done and I appreciate that. I'm willing to overlook the distractors and the elements of the media where they attack him for certain things. I don't like it, but I'm willing to accept it. 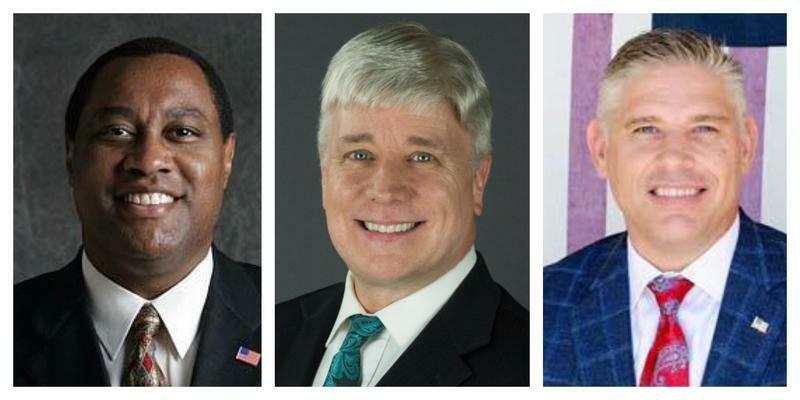 The Utah Republican Party has chosen new leadership. Delegates ousted two-term chair James Evans and elected Rob Anderson at Saturdays GOP organizing convention. The Utah GOP’s decision to resume a lawsuit against an election law it had previously said it would drop has aggravated some Republican lawmakers. The Utah Republican Party is preparing to elect new executive leadership next month, including party chair — and the fallout over a three-year-old election law may be a deciding factor for members.